North Korea has been criticized for manufacturing weapons of mass destruction and denying its people the most basic rights. In response, there have been two different approaches: economic sanctions or engagement. This study is to analyze how the international community could change the North Korean behavior effectively under international norms. Economic sanctions may be imposed in order to maintain or restore international peace and security. Humanitarian causes, however, limit the scope and types of economic sanctions. Further, comprehensive economic sanctions are not effective. North Korea has an authoritarian political structure and it would make economic sanctions less effective. Sanctions might contribute directly to the economic hardship of North Koreans. 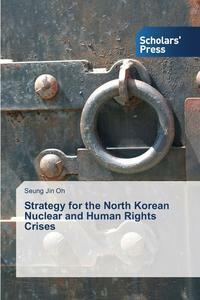 There is no hope that sanctions may strengthen NGOs, and the opposition movements in North Korea. On the other hand, economic engagement would strengthen reformer groups in the North Korean government, empower entrepreneurs, produce a middle class and interest groups, and eventually stimulate some form of civil society. An effective strategy to force North Korea to respect international norms is to engage the country.